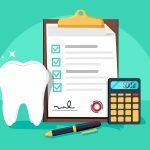 Importance Of Extended And Weekend Hours In Emergency Dental Services? There is a huge importance of the weekend as well as extended hours when someone is usually looking for emergency dental services. 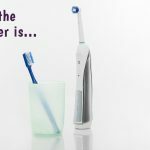 Weekend dentistis rarely available but in some of the clinics, you can generally find the availability of the dentist open Saturday. 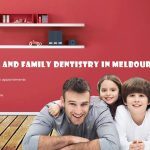 Most of the dental clinic Melbourne is involved in providing the weekend and also emergency dental related services. These dental clinics always give importance to each and every patient and so, for this weekend as well as extended hour’s services are usually provided by these dental clinics. For this reason, these dental clinics are involved in accommodating a variety of schedules. The extended hour’s services usually make it much easier as well as convenient for you and also, the particular patients get a lot of the additional services ranging from the weekend hours as well as some sorts of the services which are usually related to a walk-in dentist. The extended hours of these particular dental clinics generally make it much easier for you for the purpose of getting the dental care which you exactly need at a time. Other than that, the services which are mainly offered by these particular dental clinics proved to be much convenient for emergency patients. Along with that, quality treatments are also more preferably offered by these particular dental clinics which are mainly located in Melbourne. Also, evening hours are generally provided by these dental clinics. As a result, it is not mandatory for you to particularly fit in the dental appointments mainly during the day time. 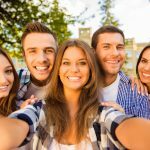 Many of the people are usually not aware of the fact that is possible to get the dental work done even on the weekend i.e. during Saturdays and Sundays. These dental clinics are also involved in offering all types of regular procedures as well as treatments generally from a dentist open on Saturday. As a result, you do not have to particularly interrupt your daily work schedule. A number of benefits are generally provided by these particular dental clinics which are located in Melbourne. This usually includes the evening as well as the weekend hours which are provided for the patients. Along with that, the following services are also provided by these particular dental clinics. All Services Available:The patients can enjoy the availability of all the services with the help of these dental clinics. So, you can generally take advantage of both the weekend as well as extended hours. This applies when you are not usually limited to the particular services you use. Apart from that, these dental clinics are also involved in providing some of the normal services at any time. Convenience:Convenience is considered the most important aspect which is mainly provided by these particular dental clinics. The patients always get convenience with the help of these particular services which are provided by these dental clinics. The convenient hours helps these dental clinics to preferably work around the schedule. You should come for the purpose of treatment generally at your convenient time. This applies whether that usually means coming in after the work or generally the first thing on a Saturday. Apart from that, the particular services of the walk-in dentist are also provided by these particular dental clinics. So, you are welcome to avail of the particular services of the dental clinics anytime. These dental clinics will usually attempt to do the best for satisfying the daily needs of the patient. Emergency Care:The patients nowadays seek to take the services of those dental clinics who are particularly involved in providing emergency care. The particular dental clinics should generally ready to help you if a dental emergency should necessarily occur.So, for this reason, you can easily call the particular team of the emergency dentist during the time of your emergency. At this time, these dental clinics will be much happy to particularly care for you and your dental needs. This thing particularly applies even if your emergency usually falls outside of both the weekend as well as evening hours. Thus, it is important for you to necessarily call the team of the emergency dentist for the purpose of availing the emergency dental services. Also, you will be generally accommodated in your busy schedule. These clinics are very much dedicated to serving you.